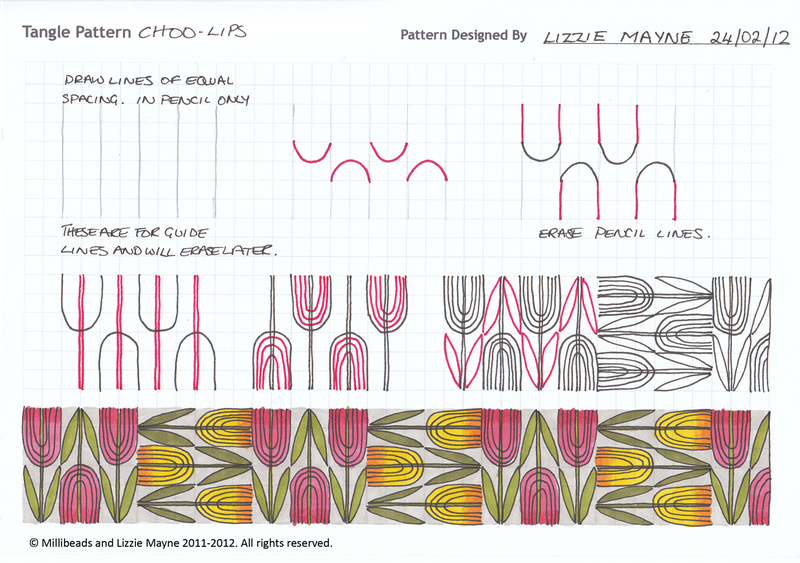 I have a new pattern for you called Choo-Lips. Click on the pattern for a step by step guide on how to draw it. Plus there are a lot more patterns on my tangle patterns page. How to make faux rhinestones or gems. I finally made it, a ‘How to’ video on how to make faux rhinestone embellishments for your card making or craft projects. This is my first video, there are few word errors, that’s because I was a bit nervous and my mouth runs faster than my brain:). Any way have a look and hope you like it. Posted by lijesm in Misc. I’ve been out of action for a while as I’ve recently had a knee operation, that trimmed, ground down, drilled and flushed out some defects in my cranky knee. Hopefully this will cure an on going pain I’ve had in my knee for over a year now. Meanwhile I’m enjoying the rest and recuperation and hope to get back to some creative thinking soon. I’ve been re-arranging my Hobby room and playing around with glue, mirror board and Glossy accents. I hope to be making a video of my efforts and post soon (If I can sort out how to do that, any suggestions welcomed).